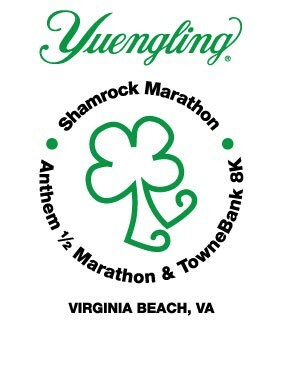 J&A Racing is looking for course marshal volunteers to support the Yuengling Shamrock Marathon – a Virginia Beach tradition since 1973 – on March 22, 2015, and will make a generous donation to our fireworks fund as a thank you for our help! Course marshals are a critical part of the Shamrock event as they prevent unauthorized access to the race course during the half and full marathon on Sunday, March 22, 2015. Course marshals also act as guides and cheerleaders for race participants! Volunteers will man key intersections on Atlantic Avenue from 31st to 89th Street during the race. Specific assignments and instructions will be issued closer to race week. Volunteers will be required from 6am to 3pm, depending on specific location. Volunteers will receive a special T-shirt, box lunch, and water prior to their assignment. Volunteers will be assigned in pairs to allow for rest and bathroom breaks. If you are interested and available, please contact Bill House at 757-615-0968 or Click Here to sign up. Thank you for helping our community, and our fireworks fund! One of the most amazing activities we accomplish in our neighborhood is our annual Holiday Giving initiative. 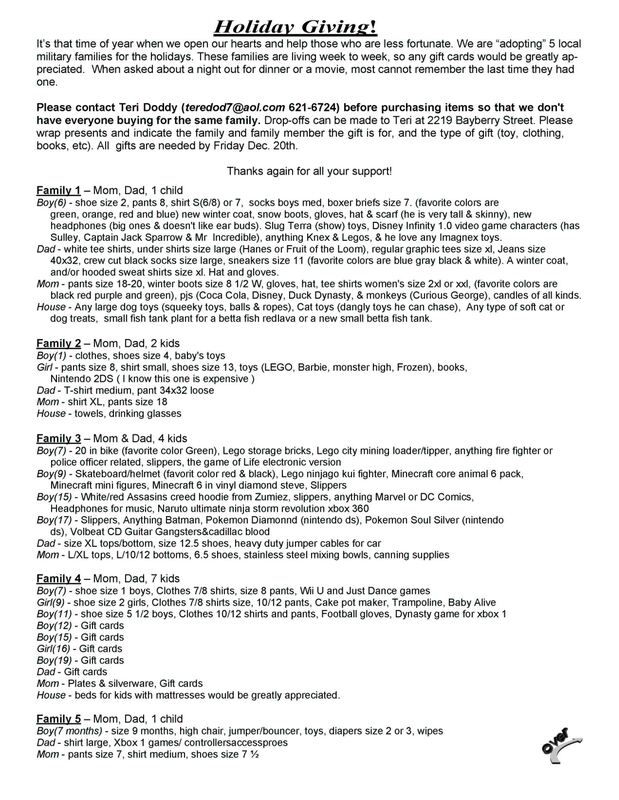 This year we want to make the holidays happy for 5 local military families that need a little help. If you can find time and the heart to give, please check out the list below and thank you for your efforts. If you need an activity to get you into the Holiday spirit, check out all the things that are planned for your neighborhood. 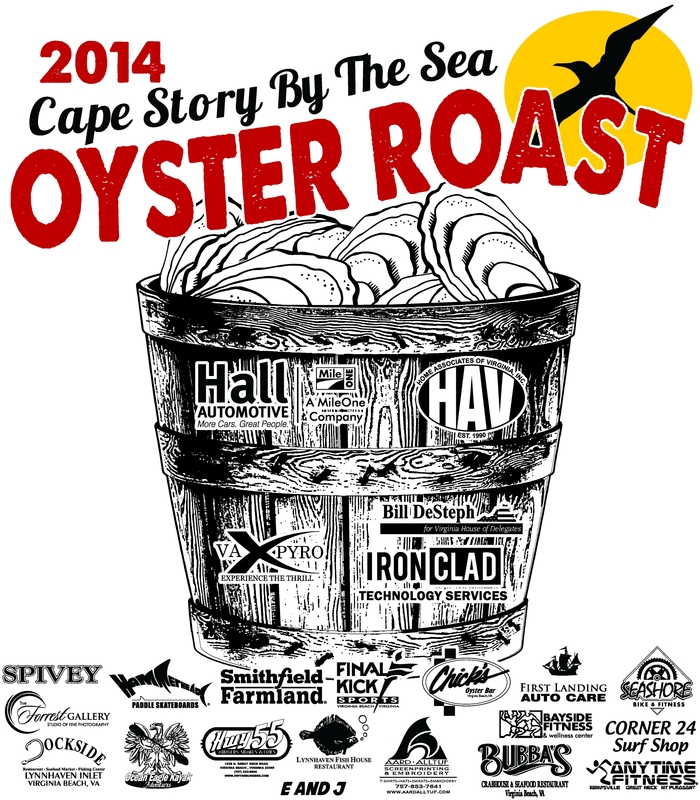 The Winter 2014 Skipjack in now online. 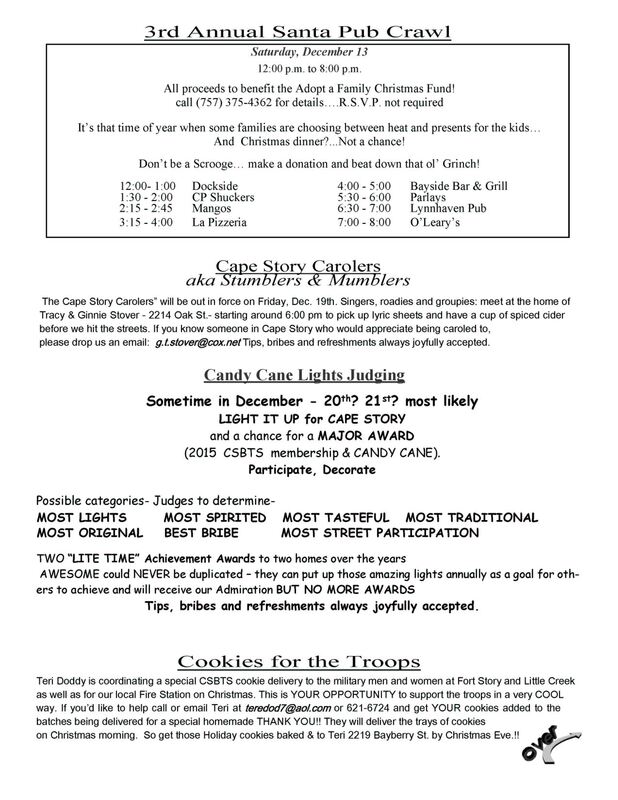 Lots of great things to do over the Holidays in Cape Story. Check it out by clicking on the image below.